When Rey visited Maz Kanata’s palace in Star Wars: The Force Awakens, she came across Luke Skywalker’s first lightsaber, a weapon that chronologically hasn’t been seen since The Empire Strikes Back. Upon touching it, she was overcome by a series of visions, including a mysterious island on another planet. At the end of the movie, Rey traveled to Ahch-To and found Luke Skywalker on an island that looked similar to the one glimpsed earlier. Now it’s been confirmed that the vision island and Luke’s home are the same place. This clarification comes from a new young reader’s book titled Star Wars: The Force Awakens – Rey’s Story (reported via Slashfilm), and keep in mind that all Star Wars books published after April 2014 are considered canon. There’s a passage in the book as Rey is flying through Ahch-To where she "recognized the landscape from her dreams." Kylo Ren also mentioned seeing an island in her mind earlier in the movie when he was interrogating her on Starkiller Base, but without that map in the Resistance’s hands, it’s unlikely he’ll ever find it himself. 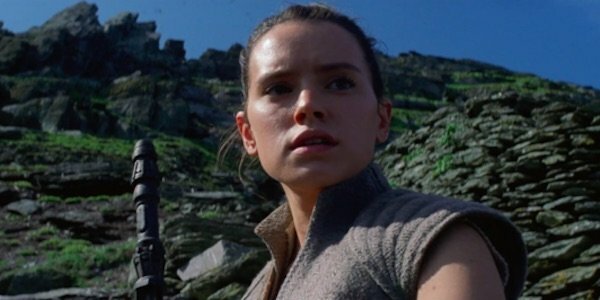 So what does Rey seeing the island ahead of time mean? Well, one possibility is that she simply gazed into the future and saw herself walking up the island to see Luke Skywalker. Visions of events to come have been experienced before by Luke, Anakin and other Jedi, so Rey gets to join that fun club. Another option is that Rey had been to that island on Ahch-To before. One of the other visions was of a young Rey being dropped off on Jakku as a child, so maybe before she was left on the desert planet, she visited that island, either with Luke or someone else. If this is the case, then Rey might start regaining memories of her time there while she’s learning the ways of the Force from Luke. While this mystery concerning Rey has been solved, there are still plenty left over for Star Wars: Episode VIII and Episode IX. Introduced in Star Wars: The Force Awakens as a scavenger on Jakku, moviegoers soon learned that there was more to her meets the eye. On top of her piloting skills and being multilingual, her latent Force abilities started to awaken (see what I did there?) as she went adventuring with Finn, BB-8 and others, including these visions, Jedi mind tricks and talent with a lightsaber. The final shot of The Force Awakens showed Rey offering Luke his old lightsaber back and him giving her a look of surprise. When we reunite with her, we’ll watch her take more steps into this larger world as she moves closer to becoming a Jedi Knight and learn more about her past. We’ll learn more about Rey and watch her take on the First Order when Star Wars: Episode VIII is released on December 17, 2017.